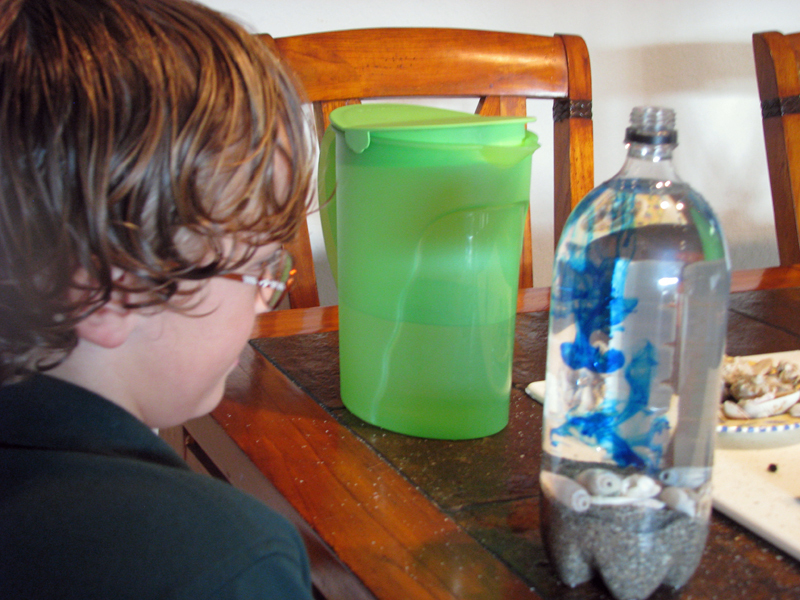 Dive into summer with your kiddo by making an ocean in a recycled bottle! Children love to use their creativity and get their hands dirty making a project all by themselves. 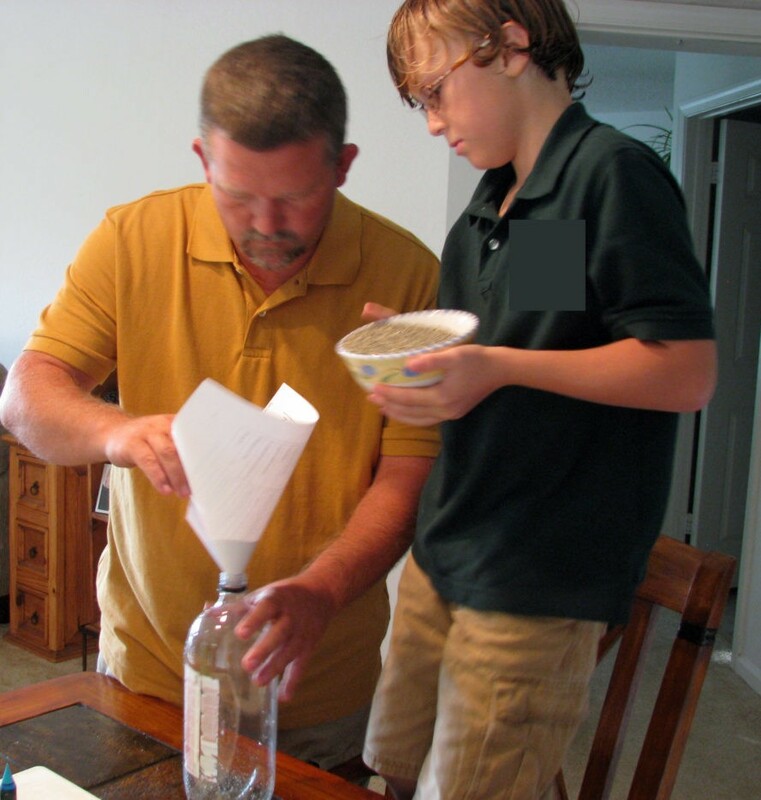 Although, my son took the opportunity to include his Dad when he made his ocean in a bottle, this project has only a few simple steps and is easy enough for an elementary school-aged child to do entirely on his own -- giving him a sense of pride and accomplishment. What makes it better is that this project uses found objects and recycling bin treasures. 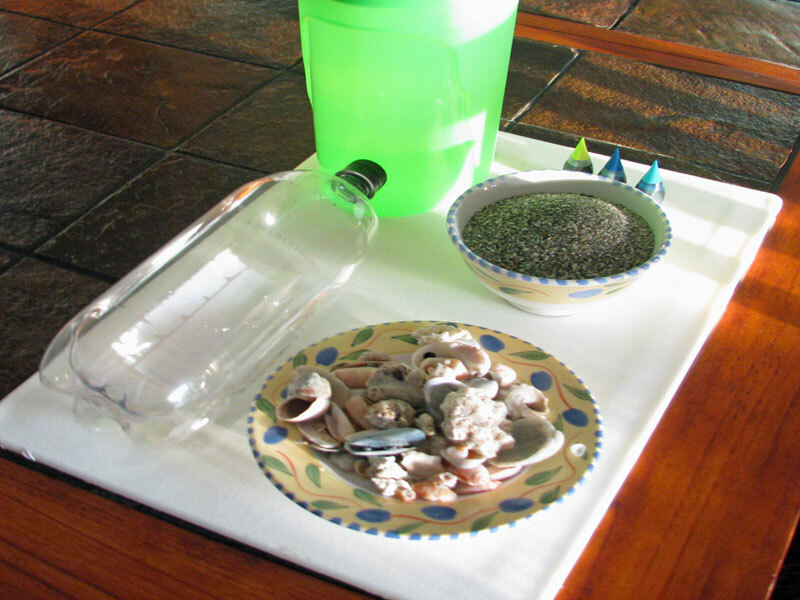 Read on to learn how your child can make an ocean in a recycled bottle this afternoon. 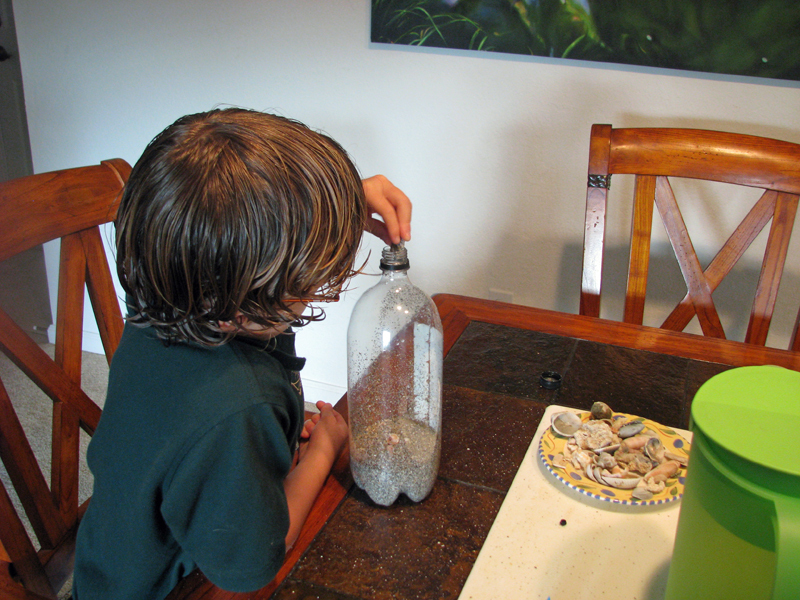 <h2>Step 1: Make the Ocean Floor</h2> Wash and remove the label and cap from an empty soda bottle. 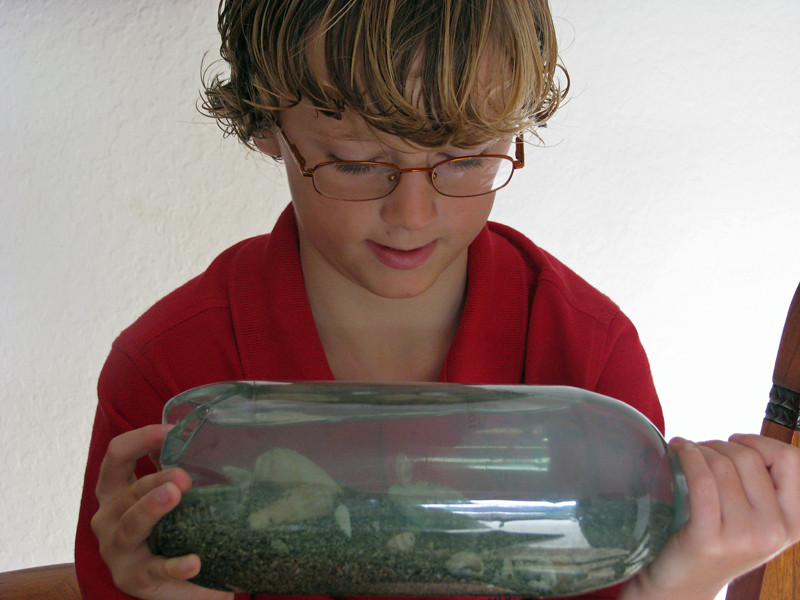 Fill the bottle 1/3 full of sand or dirt. You may want to use a funnel to prevent sand spillage. 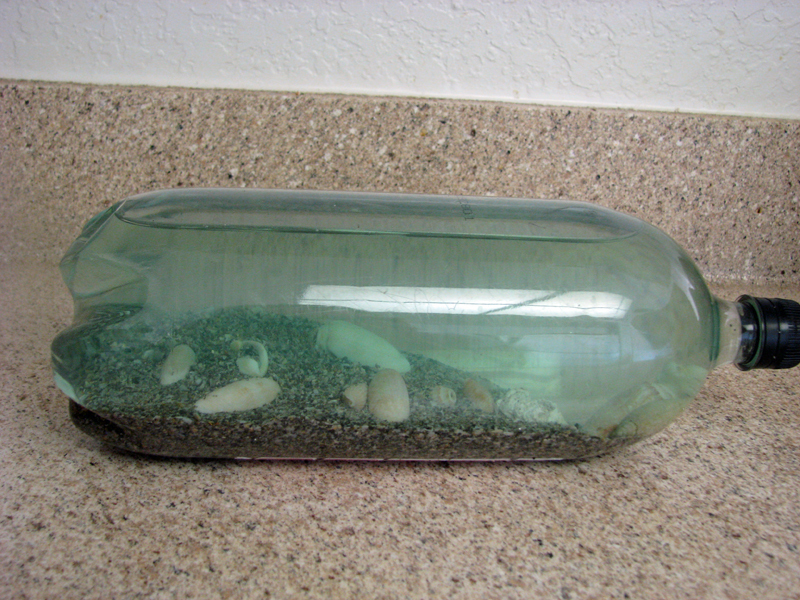 <h2>Step 2: Add the Seashells</h2> Add an assortment of seashells or rocks on top of the sand or dirt. 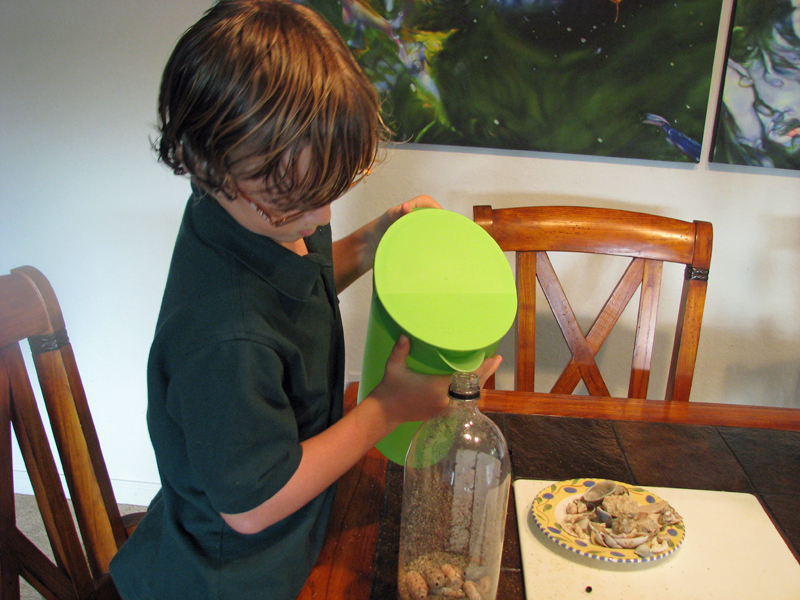 Finding the rocks and seashells is an activity within itself and just as much fun. 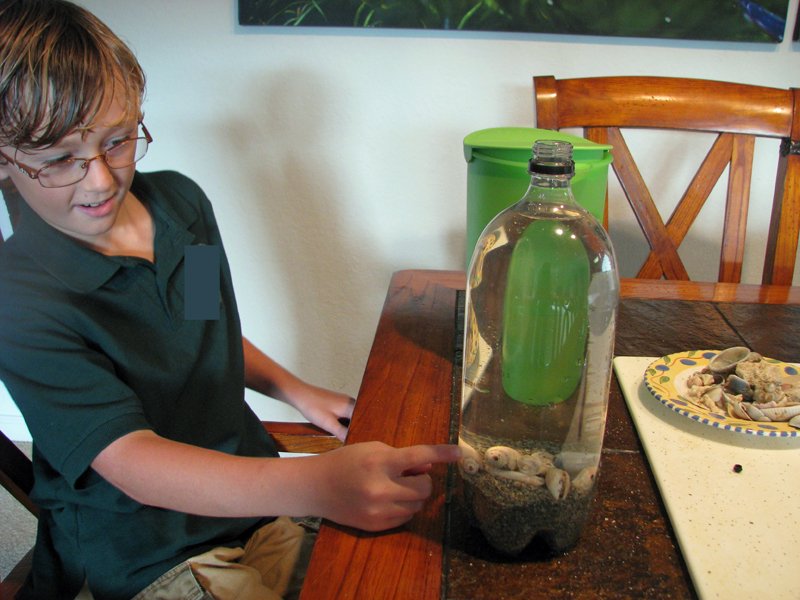 <h2>Step 3: Add the Ocean Water</h2> Fill the bottle 3/4 full of water. Again, it's a good idea to use a funnel to prevent water from being wasted or spilling. <h2>Step 4: Make it Blue</h2> Add 1 droplet of natural blue or green food coloring to the water. This part mesmerizes children, they love to watch the food coloring mix in with the water. <h2>Step 5: Enjoy the Ocean View</h2> Put the cap back on the soda bottle and enjoy the view of the "ocean" either vertically or horizontally. <h2>Step 6: Make Waves</h2> My son enjoyed changing the position of the bottle from standing to laying on its side, because bubbles would float to the top. He also liked that when you roll it back and forth on its side, the water swishes in and out - like the tide, covering and uncovering the seashells with each roll.